Now on Wednesdays! Guitar Hero Live is not giving up on being a special snowflake and insists on updating Wednesdays, despite the fact that literally every other game updates on Tuesdays. I’ll just have to change my ways. Well, whatever. On with the news! 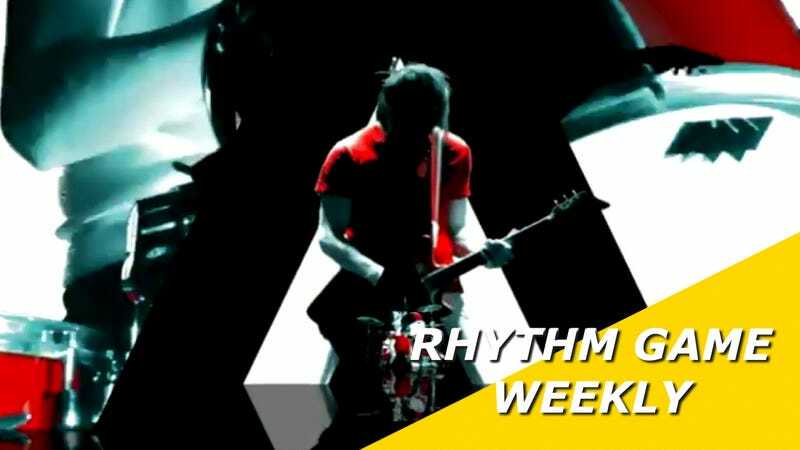 Continuing the trend of decade specific releases, this week we got three songs from the 2000s! Each song is available at $1.99 USD. Gameplay videos done by Spectro’s Rock Hero. This week I’m gonna start trying to do reviews for each song, too. Please note that I can only do reviews for Rock Band 4, as it’s the only game of the big three that I actually own. Heh. Audioslave returns to Rock Band with their best selling hit “Like a Stone”. Previously, we only had “Gasoline”, a strange choice as it was a deep cut. “Like a Stone” is more for vocalists, as it’s pretty unremarkable on all other instruments. It does have a pretty decent guitar solo, though, albeit quite easy. For a band that has had 20 top ten hits, Godsmack is criminally underrepresented in Rock Band (only one song!). That’s going to change a little bit this week, with the release of “Awake”! This song is great for everything except bass. Drums are definitely the highlight in this song. It has fun patterns all throughout, and changes them up slightly every now and then. Guitar is solid, though a bit hard to keep a combo going because of some weird chord transitions. It has a solid guitar solo too. Finally, we have “Lying from You”. Out of the 12 Linkin Park songs previously released, we had only one song that was that heavy, angry sound that many of us love Linkin Park for (“One Step Closer”). It took seven years, but we finally got a second! Pretty easy on everything, this is a song you’d pick up if you like the song (I do!). Guitar and drums are both fun for their difficulty, but bass, again, is boring. Finally, a strange, but very cool bit of news. Harmonix are partnering with SCRUFF for iOS by giving away a free song for members of the app. For those that don’t know, SCRUFF is a dating app for gay men and women. The song that they’re giving away actually hasn’t been released anywhere, yet. It’s “Bad Catholics” by The Barbazons, a local Boston band that is very pro LGBTQ. They used to be called Fagettes, btw. It should be pretty obvious why they decided to change their name. To get the song, just download the app (if you don’t already have it) and RSVP to the Rock Band 4 event. They’ll send you a code for it. If you happen to not be part of the target audience for SCRUFF (statistically speaking, most of you aren’t), you can still get the song by following this link. It’ll send you a download code for the song to your email. Also, last week’s songs (minus Black Veil Brides) are now available to play on demand. In addition, as of this writing, the premium Black Veil Brides show only has 5 days left. Play it while you can! The Avenged Sevenfold songs still haven’t shown up in regular rotation or on demand yet, which could mean that it’ll be a while until we see these songs again. Finally, Rocksmith 2014 is adding a 4 pack of songs from the California punk band Rancid. Each track is available at $2.99 USD, and can be bought as a pack for $9.99 USD. Gameplay videos done by Elison Cruz and DoofiestDoofz. And that wraps up the news from this week. If you see that I missed something, have a suggestion for future articles, or just want to share in the excitement for the DLC, please leave your comments below! These roundups are every Tuesday at no specific time, just whenever I finish them.